This is a large structure with a rectangular gablet roof in the proportions of 7 to 4, made of cypress bark. The inner sanctum has a projecting coffered ceiling. 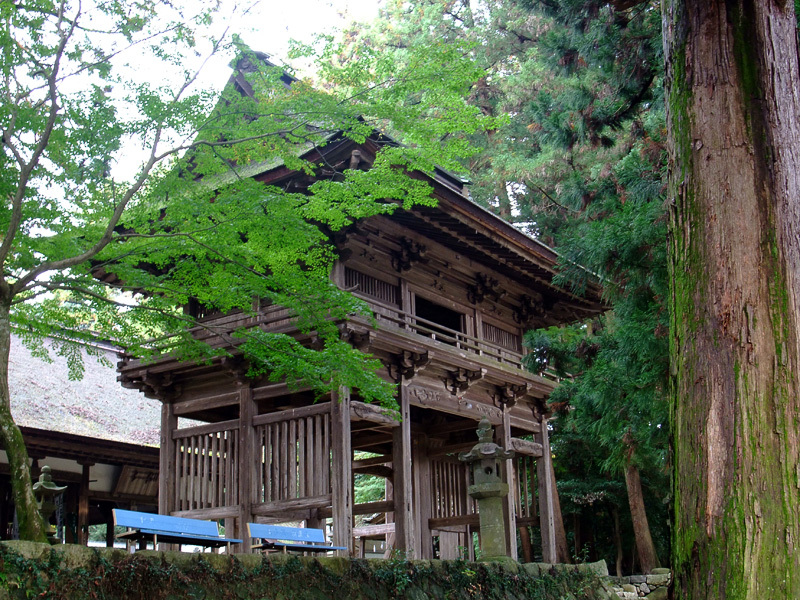 The munefuda, which includes details of its construction, states that it was built by Murayama Tsushimanomori Tadahiro in the first year of the Chokyo Era. 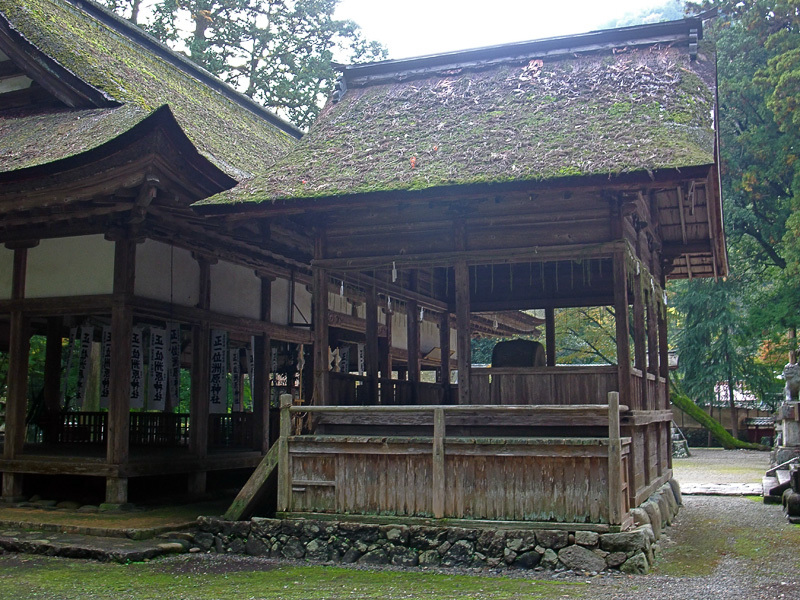 However, the present structure is thought to date from the Edo Period. This building has a rectangular gablet roof in the proportions of 3 to 3 made of cypress bark, with a kohai on the front face. This is the largest inner sanctuary situated in the city and mixes a Chinese style with mainly Japanese elements. 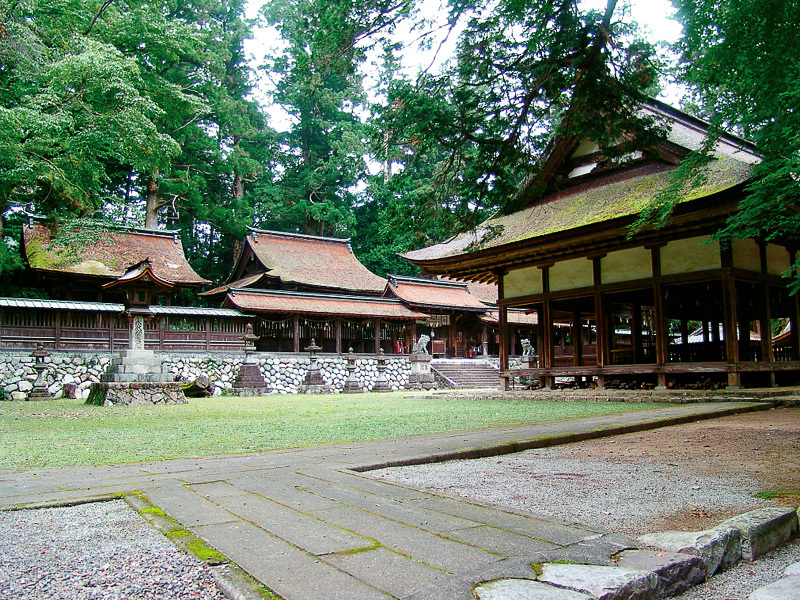 According to the annals of the shrine, it was constructed during the Kosho Era. The stage was rebuilt in the 10th year of the Kanbun Era (1670). The coffered ceiling, which is folded on the inner section is extremely beautiful, and includes beautiful embellishments. 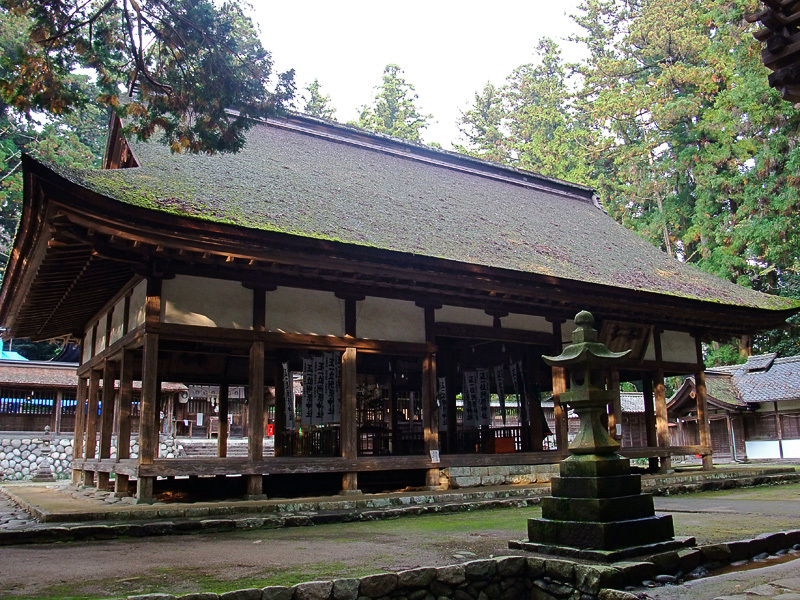 This represents the oldest and most outstanding design among the structures of of Suhara Shrine. The tower gate displays a mainly Chinese style of construction and was rebuilt during the Kan'ei Era (1640) and the first year of the Kanpo Era (1741). A rough coffered ceiling forms the right and left side faces of the lower level, which allows viewing of the shrine precinct. 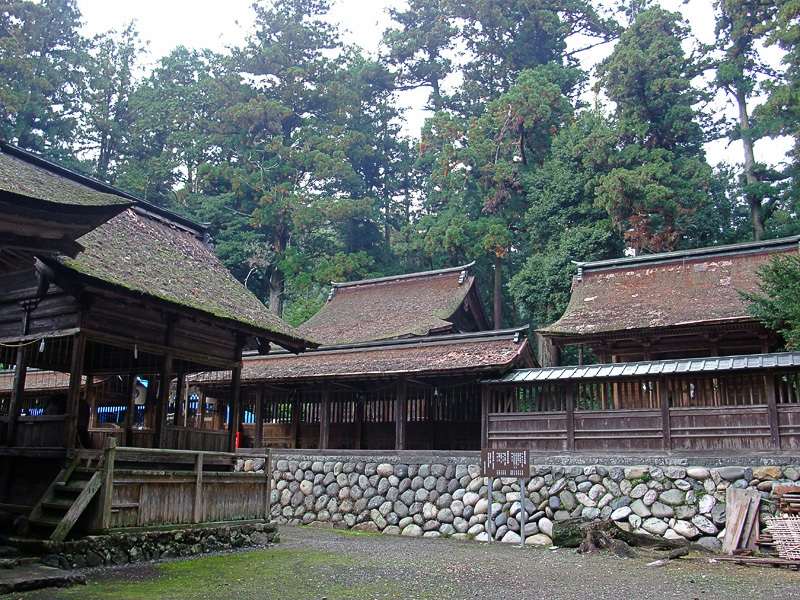 This shrine was founded by Taicho Taishi, a great monk from Echizen, during the Nara Period, and it is a shrine which is venerated as one of the shrines within the Hakusan faith. It is famous as a shrine for the patron god of agriculture, and it is said that good harvests will result from sprinkling “sand” from this shrine onto fields. Therefore, believers from all over the country visit this shrine. The inner sanctuary on the east and west and the central part of the main building are a Prefecturally-designated Important Cultural Property, and the six buildings of the hall of worship, the stage and the tower gate are a City-designated Important Cultural Property. The area around the shrine is designated as a Natural Monument, being a breeding ground for the dollarbird.